The first quarter of 2019 is now in the history books. So, as April dawns and spring begins to bloom, the question begs: are you ahead, behind or on plan? Feeling the panic already? If so, you’re not alone. In fact, there’s an inherent danger built into the quarterly mindset; unless you are hitting, or hopefully surpassing, your targets, it’s detrimental to business performance. The quarterly review period is too infrequent and puts too much pressure on the remainder of the year for recovery. This does not mean that leaders should abandon fiscal rigour. Rather, the takeaway is that performance output should be measured in weeks or even days, not in months and quarters. If we set aside the questionable quality of performance reviews, another fundamental problem is that many leaders withhold all their performance feedback until the scheduled review slot, by which time, half a year could have passed and it could well be too late to fix some of the problems that exist. ■ In a bi-annual review cycle, the lost time is six months, leaving just half the year for recovery. ■ In a quarterly cycle, the lost time is three months, leaving potential three-quarters of the year for recovery. ■ In a monthly cycle, the lost time is only one month, making the recovery period manageable. ■ In a weekly cycle, the lost time is only five days, practically integrating recovery into normal operations. Personally, I like to break the year down into 52 units. Each week is approximately 2 per cent of the year, long enough to accomplish something, yet short enough to recover if you get behind plan. Each week is approximately 2 per cent of the year, long enough to accomplish something, yet short enough to recover if you get behind plan. This is a very tough challenge for time-weathered executives, given that the cadence of their life revolves around the quarterly cycle of earnings calls and fiscal projections. However, the more frequent the review happens, the greater value it brings to the business. Here, is some practical advice on how leaders can increase the effectiveness of performance by seizing not just the moment, but the second. A leader’s day is comprised of approximately seven million seconds, assuming an eight-hour work day. 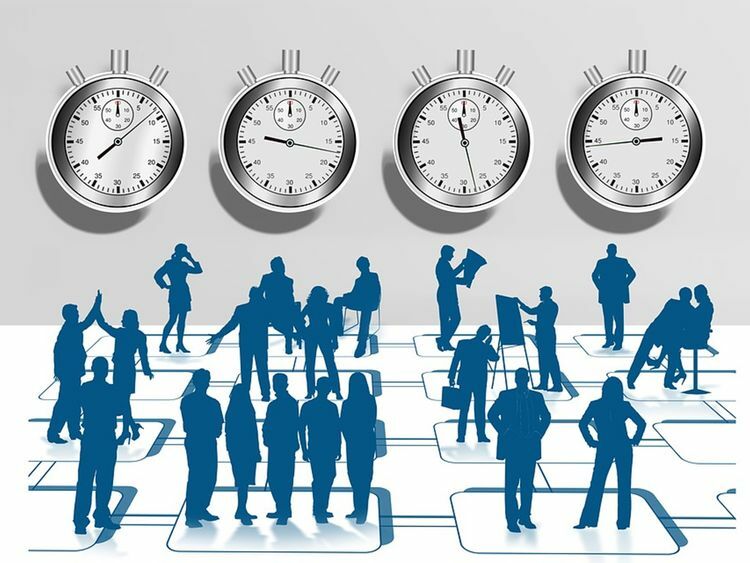 During these seconds, leaders regularly observe their employees’ productivity but, unfortunately, due to the speed of the day and vast volume of observations, these seconds are lost, resulting in missed opportunities to enhance performance. To combat this, leaders must be switched on to the value of every single second, and this is where the leadership habit of micro-monitoring comes in. Not to be confused with micro-management, micro-monitoring is where a leader proactively observes what employees are doing with the goal of helping them succeed. The catch, of course, is that we are limited to what is humanly possible. We are constrained to spreading our precious time across an array of responsibilities, with few resources left over. Even when we do find a moment to micro-monitor, while we may be ashamed to admit it, what many of us are actually able observe and record often falls short of the mark if our findings are to be of any use. Fortunately, there is a solution. Our companies are rich in underutilised system data that is recording every second and minute of the workday, and artificial intelligence now has the ability to turn that data into valuable insight through the Trigger-Task-Time algorithm. This unique algorithm observes every passing moment of a workday, understands what employees are working on and instantaneously knows if they are productive and on track to hit their quarterly targets. The result? Time — our most precious resource — is observable, optimizable and actionable. By using the right algorithms, you can now know what you historically couldn’t. So, allow AI to do the micro-monitoring for you and draw from the “diary of the second” that it generates. Armed with new insight, you can then engage in weekly feed-forward conversations that can truly boost productivity. Don’t limit yourself; lead by the second. Tommy Weir is the CEO of EMLC Leadership Ai Lab and author of “Leadership Dubai Style”. Contact him at tsw@tommyweir.com.